This holiday apartment is located on the second floor of a family house, on mountainous terrain. The entrance to the accommodation is downhill on the northern side. It consists of two bedrooms, a bathroom, a well-equipped kitchen and a separate living room connected to the hallway. 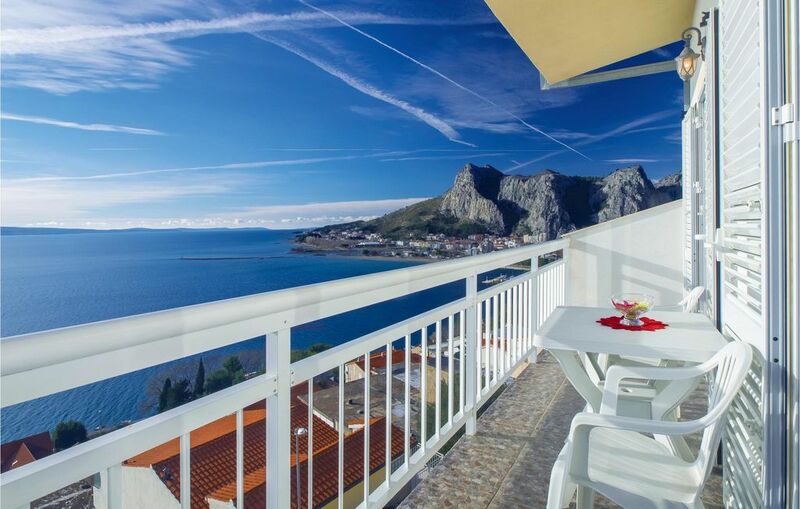 The bedrooms have exits onto the balcony with stunning panoramic views of the sea and Omiš. The path to beautiful pebble beaches is steep and partly with steps. Omiš offers you many cultural, entertaining and sporting leisure activities. The place is best known for rafting on the river Cetina and the zip-line.